Ideally suited for larger groups or families visiting Birmingham on holiday, our range of people carriers are available in a varierty of seating configurations. Whether you require a seven-seater for a family outing or a nine-seater for business travel around the West Midlands, Birmingham Car Rental can provide an MPV that will meet your requirements. These flexible vehicles can be driven using a standard licence but drivers must be at least 25 years of age. 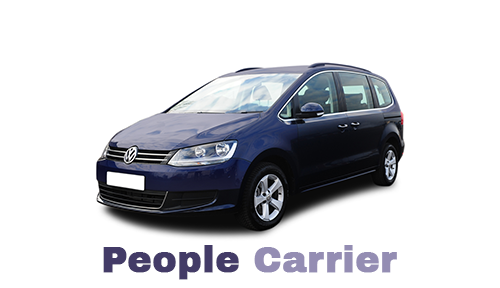 To hire a people carrier in Birmingham with us please call 0121 330 0812 or use our online booking facility. There are a number of different models in our fleet of MPVs. In certain cases, we can offer guaranteed make/model. If you want more information about our range of people carriers please call us on 0121 330 0812 or use the form on our contact page.